The anime series Hibike! Euphonium has created waves among a niche anime community for its depictions of Japanese high school concert band life, questionable (?) relationships between high school girls and best of all, the drama that ensues when you put a lot of people together in one room and expect everything to appear in unison. 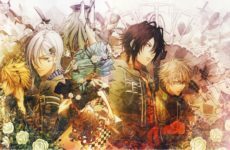 I most probably exaggerated a lot for those of you who have never watched it – and if you’re wondering if you should, I wrote a review about this series here which you can check out. Hibike! Euphonium revolves around Kumiko Oumae, a Euphonium player (surprise!) in her journey as part of the concert band for Kitauji High School as they reach for their goal of competing in the national concert band competition. This series, originally a novel series by Ayano Takeda, spanned a manga, two anime seasons, an original video animation (OVA) and two films that are basically just recaps of the two seasons. 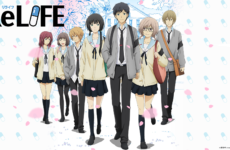 The first anime film, which premiered on April 23, 2016 is a retelling of the events that happened in the first season while the next film that goes over what happened in the second season is slated to release on September 30, 2017. Thankfully for us, Hibike! 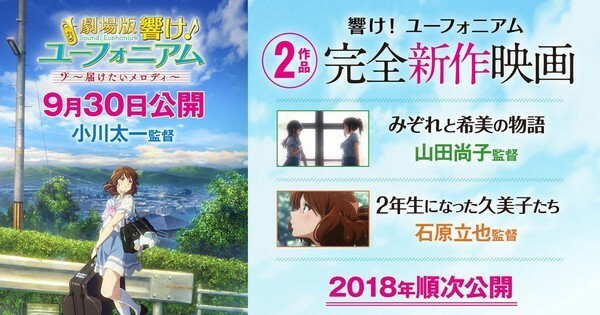 Euphonium is getting two new films in 2018 that feature new stories! One of them will be directed by Naoko Yamada from Kyoto Animation who has worked on other popular projects such as K-On! and the recently released film A Silent Voice (Koe no Katachi). This film will be about Nozomi and Mizore, two side characters introduced early on in the second season who came to play important roles in the progression of the band. The other film will be directed by Tatsuya Ishihara who was also responsible for both seasons of the anime series, and it will focus on Kumiko and her friends’ journeys in the band as second-year students. 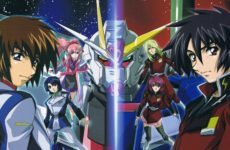 Gundam SEED/SEED Destiny: The Tommy Wiseau of Gundam?